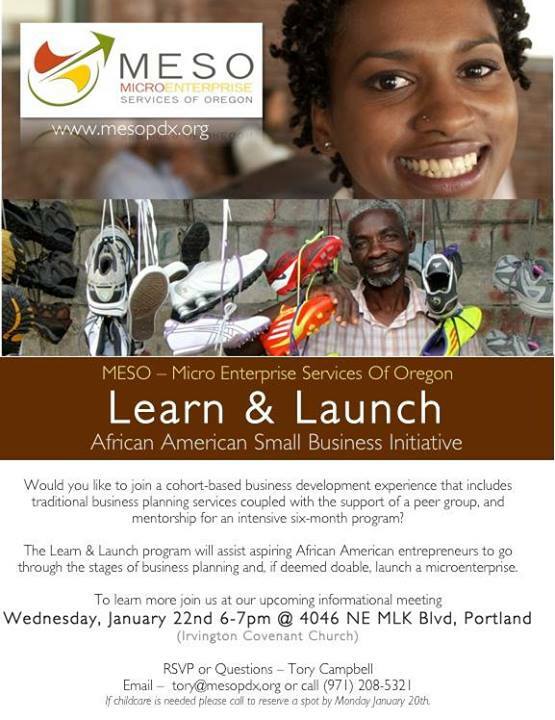 Sweet opportunity from Micro Enterprise Services of Oregon (MESO). Jan 22 : Our goal is to identify 25 African-American startup businesses so that we can assist them thru the steps of business formation. We will take everyone thru the stages of business planning and if feasible launch a micro enterprise. At the end of the program they will be eligible for up to $500.00 of marketing materials business cards or other.